Premier playwright of his generation, actor, composer and singer, by 1968 Noël Coward had reached an unassailable position for many people as the epitome of wit, style and flamboyance. 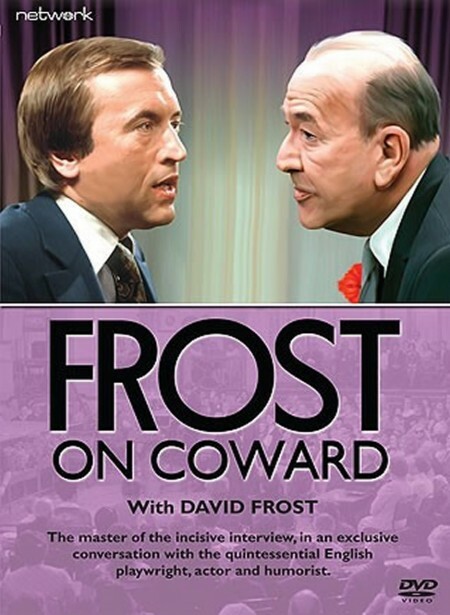 In this relaxed and candid chat with David Frost, recorded in colour at the Mayfair Theatre in September 1968, Coward discusses his successes and failures, favourite speeches that he has written, Churchill and Roosevelt’s disagreement over ‘Mad Dogs and Englishmen’, and his definition of success. Originally recorded for a 1968 edition of Frost on Friday, the original UK version of this programme no longer exists. The original 16mm colour film assets for the US transmission version, however, exist at the bfi and a new transfer was taken of these elements specifically for this release. Frost on Friday, as a series, provided incisive and insightful commentary on current affairs as well as a number of remarkable interviews with often controversial, high-profile public figures. What editions remain of this series are also available on a separate DVD from Network.